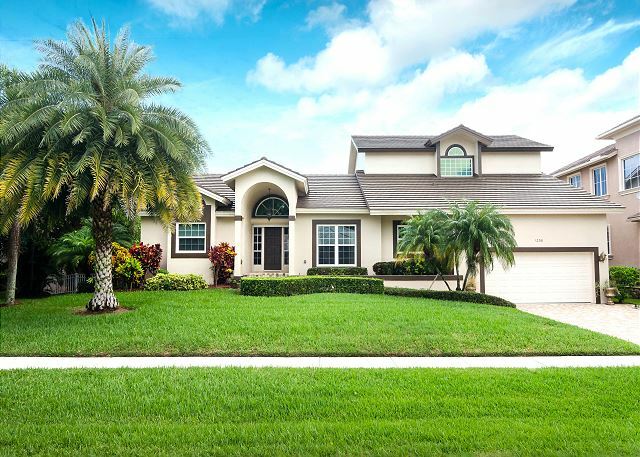 Mariana Court is the 5 bedroom waterfront island home you've been searching for! A spacious split floor plan encompasses two living and dining areas offering plenty of space for your group to spread out. Five bedrooms sleep a total of 11 people comfortably and each bedroom has a flat screen TV with full cable service. The open kitchen with breakfast bar overlooks the main living room and is stocked with everything you'll need to cook and serve meals. The main living room has double story ceilings and a massive 72" flat screen TV - perfect for movie nights in after days spent out in the sun! Heading outside, on the lanai you have a waterfront heated pool, chaise lounges for sunning, a gas grill and a dining table for 6. Stairs on the east side lead up to another elevated deck that offers the best views in the house - amazing for nightly sunsets! The oversized dock serves as another sundeck and perch for fishing and dolphin watching on the wide water canal. You'll also find 2 kayaks provided so you can venture out and explore the nearby waterways! If you're coming to Marco to hit the beach, Mariana Court has everything you need ready to go: 4 bikes, 6 beach chairs, 2 umbrellas, a beach cart, 4 boogie boards and various beach and sand toys are stored in the garage. 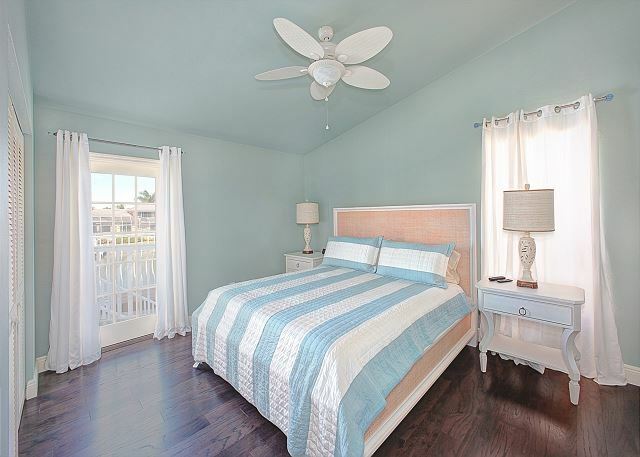 Professionally decorated and furnished in a coastal transitional style, Mariana Court is at once, elegant and laid back. Come on down and experience island fun in a luxurious setting! Best place to stay at Marco Island. The house was immaculate, clean and tastefully decorated. The renting agency people were very helpful. Had great time. Thank you, Jas! We're so happy that you had a wonderful time at Mariana Court! Would love to host you again in the future! Thank you, Vicki! We're so happy that you had a great spring break in Marco Island! We would love to host you again in the future! Had a great time, house was beautiful and well maintained. Traveled with three other couples and there was plenty of room for everyone. Thank you, Roberta! Mariana Ct. is extremely spacious and wonderful for multiple groups of people staying there! So glad you had a wonderful time in Marco Island. We would love to host you again in the future! For the past 14 years we have enjoyed our family winter vacations at various properties in Naples, FL. 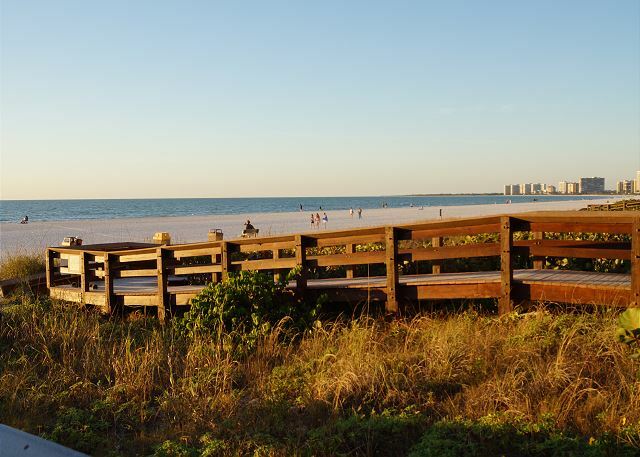 During that time, as the traffic in Naples has continued to increase, we decided to look for other options and settled on Mariana Court on Marco Island. This clean, very spacious and well-quipped home had everything we were looking for and more! 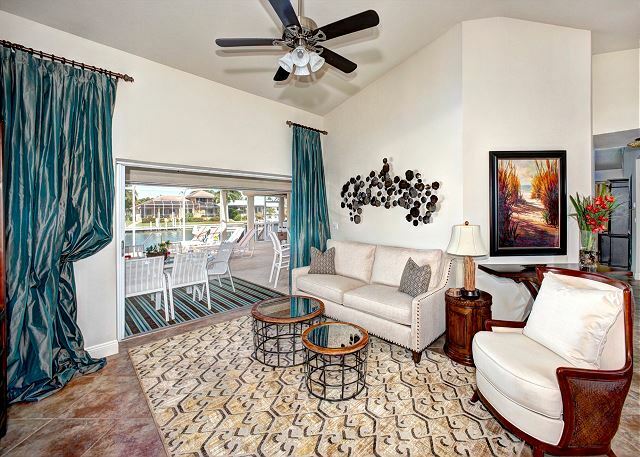 The generous outside space was exceptional with gas grill, poolside dining area and a private dock with kayaks. Sunsets on the dock were a highlight with the added surprise of seeing dolphins swimming in the canal. Although we enjoyed most of our dinners on the lanai, our two favorite spots for lunch or dinner out were Quinn's on the Beach at the Marriott or The Snook in Old Marco. Location was excellent, everything seemed to be a mere 5-10 minute drive. Best Florida vacation yet!!! Thank you so much, John! Sounds like you and your family had an unbelievable vacation in Marco Island. We are so happy that we were able contribute to this wonderful trip! Mariana Court is one of a kind. Would love to host you again in the future! Great for Large Family Get-together! Our 88 year old mother wanted to visit Florida and loved having our family of 9 join in. The house was perfect with everyone having ample space to gather and have private time if needed. Enjoyed the dock, kayaks, and lovely pool setting. Many thanks to The Holiday Life Staff. A memorable vacation was had by all! Thank you, Kate! Mariana Ct is perfect for large family gatherings- plenty of space for everyone! You and your family were such a pleasure to work with throughout your whole vacation. We hope to host you again in the future! Originally from Ft Lauderdale, FL, my family and I grew up going to the West Coast all the time. This year, for Thanksgiving, we wanted to get away and spend the week together in Marco Island. We decided to stay at Mariana Court and we are sure glad we did! We are already talking about when we will be back. The house was immaculately clean, comfortable and felt like we were at our own house. The kitchen had everything we needed to cook the PERFECT Thanksgiving dinner. The pool was warm, the dock was perfect for sunsets, and the outdoor area was great for grilling nights. We walked to the beach, rode bikes, took my 15mo old to the park too! It was conveniently located and best of all, Carley and Kelly were BEYOND wonderful to work with. They were attentive and so quick to respond to all our questions. We HIGHLY recommend this house to anyone looking for a place to call home for a vacation. Wow Lindsay! Thank you so much for those kind words. You and your family were a delightful group to host! We are SO glad that Mariana Ct was everything you wanted and more! Can't wait to host you again in the future when you return to Marco Island! We stayed at this house for five nights in October, 2018. It was very clean and spacious, and it had all of the amenities our families needed for an enjoyable vacation. The screened-in pool was great, and the outside eating area was very helpful. The beach is a few minutes away (driving), and the grocery stores in town are within ten minutes. We would definitely be interested in staying at this house again in the future. Thank you, Brad! We're so happy that you had a great time at Mariana Court. The backyard area is ideal for family gatherings and enjoying the beautiful island weather! We hope to have the opportunity to host you and your family again in the future! I loved the house. It was clean, well-mantained, beautiful and comfortable. We are a family of 4, two adults and two teenagers, and we went with another family of 4. We enjoyed swimming pool and kayacks. Also bicycles. Thank you, Maria! 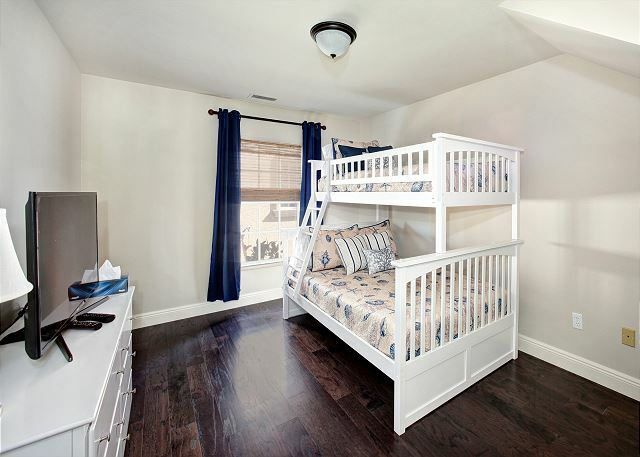 We're glad Mariana Court had plenty of space for both families! There are so many activities to enjoy while staying there and we are thrilled that you took full advantage of the amenities! Looking forward to hosting you again in the future! House,pool,dock,location were all to our expectation. House was roomy for our group of ten.rental company was very helpful and answered any questions we had before,during,and after our stay. 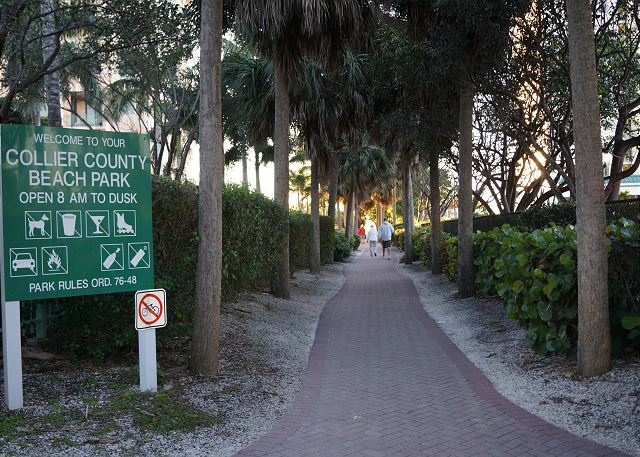 Wasn’t crazy about the convienancy of public beach access, was probably the worste beach on the gulf side we have visited from Alabama to marco island. With this said I would give the house and rental company a 10,one of the best places and companies we have rented from Alabama to marco island. Thank you, Olivia! We're so glad that Mariana Ct could accommodate your whole party under one roof! We would love the opportunity to host you again in the future! We cannot say enough about our stay here! Our family had a great time! Close to the beach and everything in Marco! The home was well equipped with plenty of pool toys and beach accessories to use at the beach. 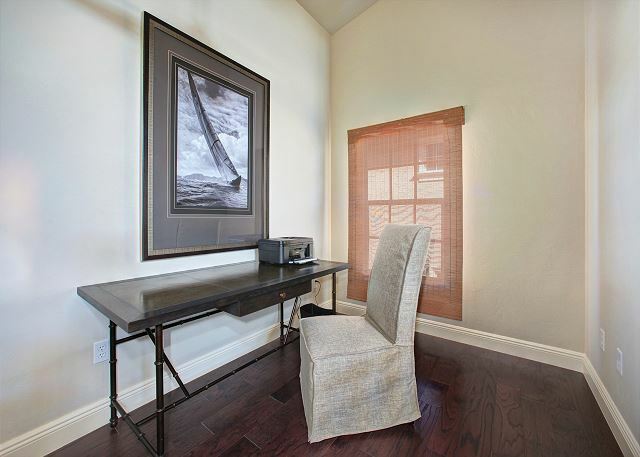 The cleanliness of the home was pristine and anytime we had a question or needed anything we received prompt responses. The kids and adults loved the pool and the fishing from the dock. Sitting on the dock watching for dolphins in the early morning and evenings was a favorite for all! Thanks again for a wonderful time! We hope to be back! Thank you, Sheba! We're beyond happy that you had a wonderful experience at Mariana Ct! Fishing from the dock is a guaranteed good time and seeing the wildlife right in your backyard is always exciting! Thank you for treating our home as if it were your own! Can't wait to host you again in the future. See you next time! Each year since 1995 our family has had the blessing of being able to visit the paradise of Marco Island, Florida for summer vacation. What began as a vacation when our children were younger has grown into a family of 12 including spouses and 3 grandchildren so far. We have rented many homes, but to date Mariana Court was the best. 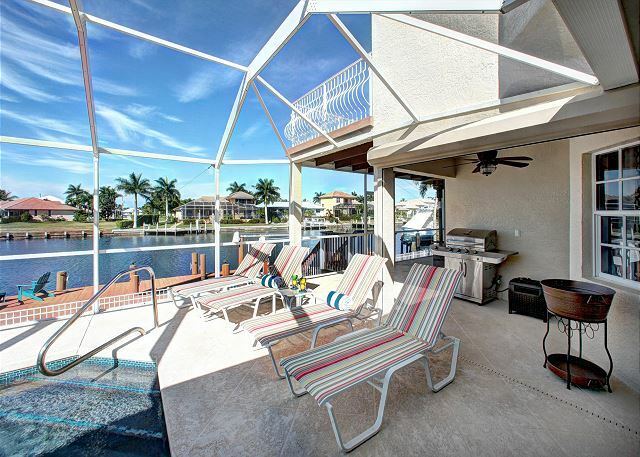 The home offers a perfect location on the south end of Marco Island with easy and quick access to the shell filled shoals outside of Caxambas Pass and the open Gulf waters. There is also quick Gulf access, or easy access to the inter coastal waterways to visit the Dome Homes of Cape Romano. The amenities of the property were such that you need only bring a toothbrush and swimsuit. The pool was sparkling and the deck is a perfect place to lounge by the canal. The kyaks were there for guest use and ready to go complete with paddles and personal flotation devices and everything from pool toys to beach items were provided. 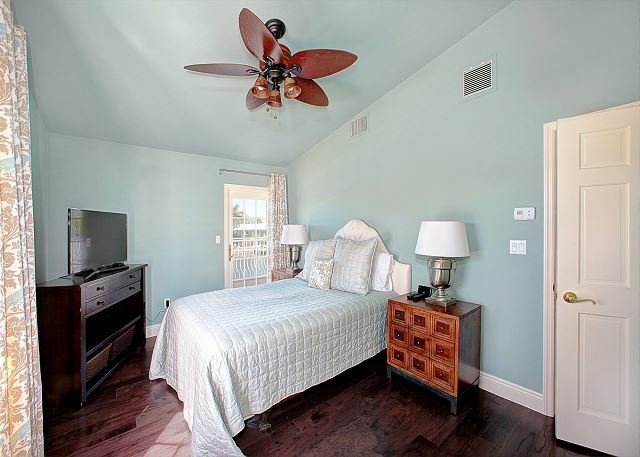 The home is professionally decorated and well-appointed with more than ample linens. 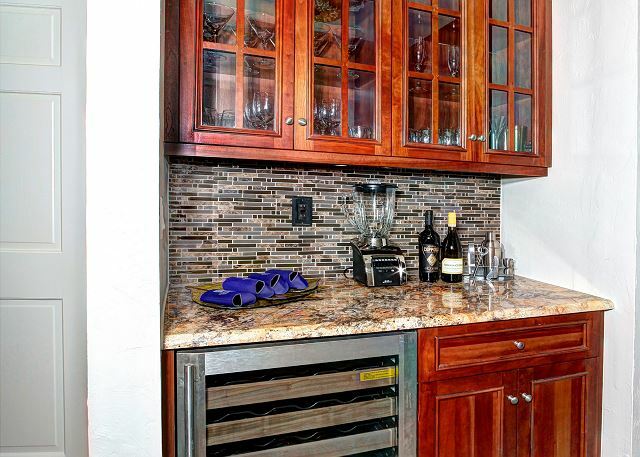 The butler's pantry/wet bar was perfect for storing libations of all types and a wine refrigerator added the perfectly chilled glass of wine on the lanai at the end of the day. A large capacity front load washer and dryer made laundering clothes and towels a breeze. The management company, most especially Casey, could not have been more attentive. Casey made everything from the reservation to follow-up when we left beyond perfect. I would recommend this location to anyone visiting the island and next summer we will return! If it is even possible to add to paradise, Mariana Court is that addition and The Holiday Life group facilitated everything perfectly and without a hitch. Wow Alicia! Sounds like your vacation to Marco Island was one for the books! Thank you for those kind words about Mariana Court. It truly is the ideal vacation rental! We are thrilled that you had such a wonderful experience! We would love the opportunity to host you again next summer! Our rental was awesome! We had fun hanging at the pool, down on the dock and sitting outside at night playing cards. The house was amazing and we had more than enough room! We would definitely stay there again! Thank you, Missy! The backyard area at Mariana Ct. is perfect for gatherings! Glad you took full advantage of the space. Looking forward to hosting you again in the future! Our family visits Florida frequently and this is the first time in Marco. The experience of being on the canal was exceptional for us and the house is exceptional in every way. We could watch the children in the pool and the fishermen on the dock, take the boat out easily, sunbathe on the dock while watching everyone having a wonderful time. When we had an a.c. problem, a repairman was quickly dispatched and we were cooling again. The house is beautifully furnished and appointed with everything our family needed. We hope to return! Thank you, Vicki! Sounds like you took full advantage of everything Mariana Court has to offer! We are thrilled that you had a successful family retreat! We can't wait to host you again next time you're in Southwest Florida! The house it great for large families or multi family get aways. We were able to walk to the beach, which is about 4 city blocks away but it really isn't bad at all. The house is fully equipped and has plenty of space. We cooked dinner and used the grill quite a few times. My favorite part is how great the management company is. This is our 2 year renting from them and they NEVER let us down. They were able to get us in for an early check in and at one point we locked ourselves out...Within 45 minutes they were able to get us back in. Thank you, Natalie! We are thrilled that you had another great Marco Island vacation! See you next time! Wow, thank you Julie! Sounds like you had a spectacular vacation in Marco Island! We're thrilled that you had a great time and can't wait to see you next year! Super clean and nice layout. Thank you, Heather! We're glad you enjoyed your stay on Marco Island! We were in Marco Island last week for our son's wedding and stayed in the BEAUTIFUL Mariana Court home. The house was perfect for my family and was equipped with everything from preparing food to entertaining the 20-30 year olds and entertaining the grand babies. We walked into a house that was EXTREMELY clean and beautifully furnished! We enjoyed hanging out around the pool with the granddaughters, the Kayaks got some fun use and sitting on the deck in the Adirondack chairs was so relaxing. We even spotted 3 dolphins and a manatee! We had a little hick-up in our trip as we were booked into another property but with Hurricane Irma leaving her destruction in Marco, Casey was AMAZING to work with and she moved us into this house. We felt extremely blessed that we were working with such a fantastic management company. We hope to come back to Marco and stay in this house again when we won't be so busy with the details of a wedding. Thank you so much for sharing this house with us! Was a beautiful home clean and spacious with a excellent location. We got married on the beach which was only 5 minutes away. Love Marco Island and will definitely stay in this house again. Would stay in this home again! The house on Mariana Court was perfect for our group. 4 adults, 2 teenage boys and 2 12 year old girls. It was clean and the lay out was great! We had a boat for 4 days and loved having the canal right out back to access it. The pool was used daily and the pool cage was great to keep the mosquitoes out. Kelley and Casey were awesome to work with and answered all of my questions in a timely manner. If you want yummy good beach food go to Sunset grille on south beach on Marco island. Fantastic! And if you have a chance to rent a boat go to keewaydin beach. Go on a weekday though the place fills up fast! Loved everything about our stay! Beautiful property on Marcos Island - tons of room in a wonderful location. The house slept our three families with ease. The house was equipped with all the necessities for preparing meals and chilling out. We enjoyed the enclosed pool and spotted dolphins while relaxing in the dock chairs. When we didn't feel like cooking we had plenty of choices of restaurants. Then beach was great, we took a trip into the Everglades, and several of us got our open water certification at Scuba Marco. The staff at Holiday Life was very helpful the one time we needed it. Very relaxing and beautiful, we felt it was a great value. We would definitely rent this property again. We really enjoyed this rental house, It was spacious, immaculate and contained everything you could possibly need. The house was located near shops and restaurants.. It was a short walk to the beach and the owners provided bikes, beach cart, chairs, toys etc.... everything! Our kids enjoyed the kayaks and ventured out in the waterways. We enjoyed the sunsets & dolphin watching. We have stayed in a lot of houses on Marco Island, this was our favorite!! We highly recommend this house and can't wait to stay there again! We have rented numerous homes over the past 15 years - Nags Head, Myrtle Beach, Hilton Head, Key West, etc. Mariana Court was easily the finest, cleanest, and best equipped home our family has ever stayed in. Thanks again for the wonderful vacation home rental. The place was fantastic and we enjoyed our week on Marco Island. The only criticism I have is that the dock is in need of some work, but other than that, the place was fantastic. thanks again. Great home for a large family. Super clean, fully stocked kitchen for any gourmet. Plenty of space for spreading out. The pool area and dock with kayaks kept everyone busy. The beach is close enough for a walk but the garage was stocked with 4 bikes and beach chairs, umbrellas, cooler and cart for a quick 2 minute drive to beach!